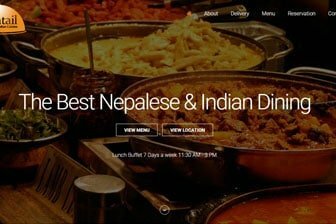 Fishtail Restaurant is an authentic Nepalese & Indian cuisine & takeaway which serves delicious, freshly cooked Nepali & Indian cuisine. We deliver our mouthwatering dishes at your doorsteps. We make every effort to make sure all our dishes are prepared to order with fresh ingredients and aromatic Himalayan herbs. We are open all year round 7 Days a week including Thanksgiving – Christmas and New Year.